I stopped by my local Ulta one day just to do some browsing, I wasn't looking for anything in particular. 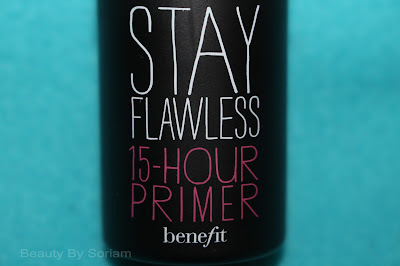 I stopped at the Benefit counter and saw this new primer on the shelf. It was the Stay Flawless 15 Hour Primer. I had heard some of my favorite youtubers talking about this recently, and so I decided to get it. 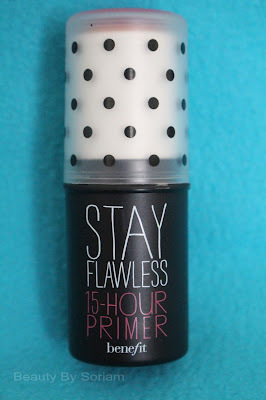 The retail price for the primer is $32. You can get this product at Sephora, Ulta, or the Benefit web site. I started using this primer right when I purchased it. I really like that is in stick form which makes it super easy to apply. It goes on the skin clear, cool and it doesn't have a scent. When you apply it on the skin it gets a little tacky, this is so that the liquid foundation "grabs" the primer making it last a really long time. It also applies very smoothly. 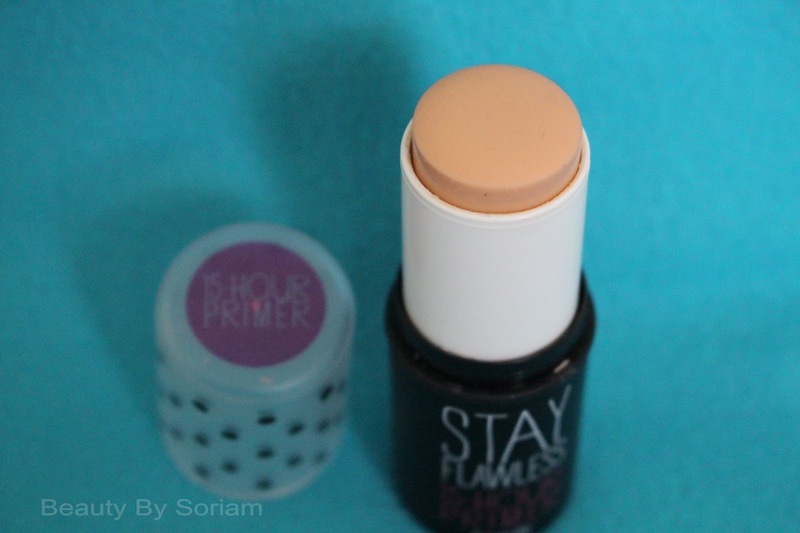 I have been using my Makeup Forever HD foundation with the primer. The primer makes my foundation look amazing right when I apply it. I would say I have combination to dry skin, and for some reason if I don't use a primer before foundation in a few hours I have no foundation on my face. It completely melts off, so annoying! I also had problems with the Makeup Forever foundation not setting, even applying a powder over top, the foundation would transfer on anything. When I use the primer my foundation doesn't transfer and my face stays matte longer than without the primer. 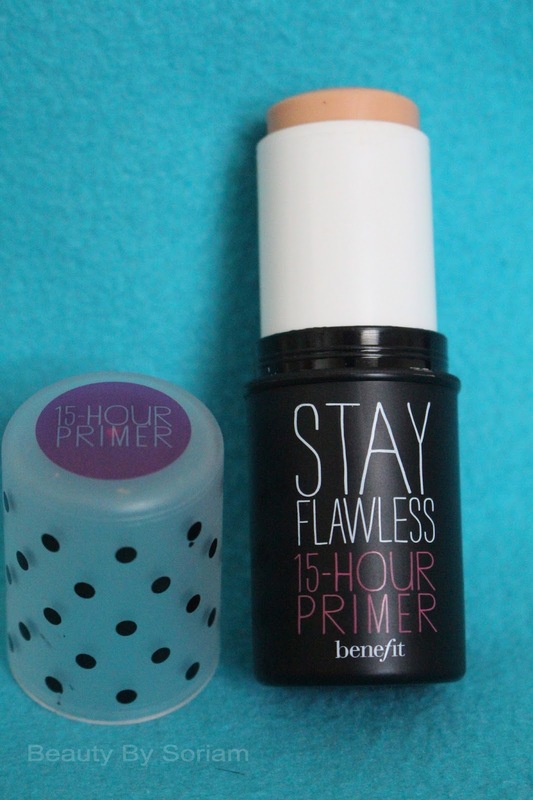 When I used the Stay Flawless primer my foundation stayed on my face the entire day. I also have a tendency of touching my face while I'm at work, a lot. And even touching my face the foundation did not budge and inch. The only thing that I would have to say that I don't like about the primer is that I cant do my entire face at once. The primer tends to set really quickly, and if it sets and then I try to apply foundation it makes my skin look really dry, like my skin is peeling off. I wouldn't use this if I'm in a hurry. You need to apply your foundation to one side of your face then the other and so on, which is time consuming. I have been really liking this primer, it is easy to use, it works great on my skin, and it is perfect for the hot summer months when foundation likes to melt off your face. 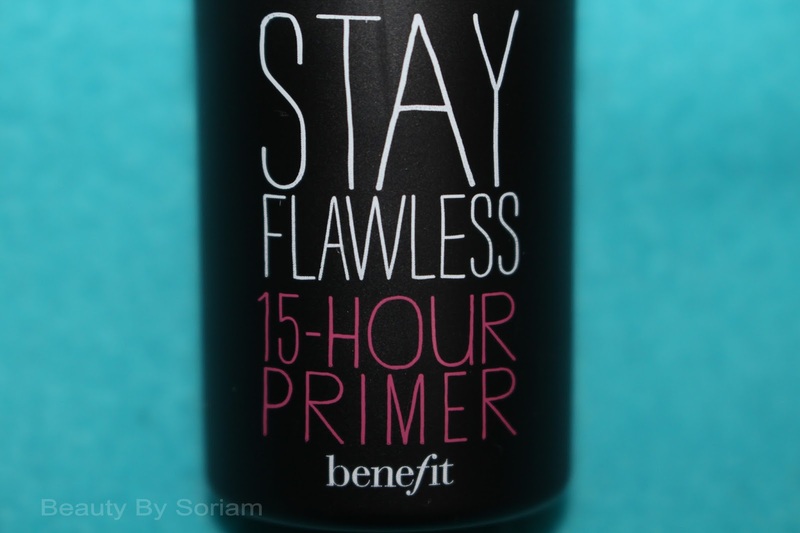 If you want your foundation to last all day without touch-ups I recommend this primer for you!